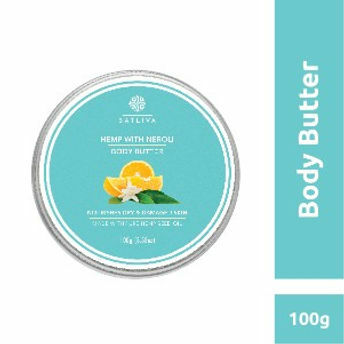 A multi-layered blend, Satliva Hemp with Neroli Body Butter is a deluxe cream enriched with neroli essential oil. This nutrient-rich combination is perfect for dry to normal skin and also works well in cold climates. The chemical composition of neroli essential oil has both antimicrobial and antioxidant powers. It's known for its ability to regenerate and improve the elasticity of skin, making it a perfect choice for reducing scars and stretch marks. It also helps maintain the right oil balance of the skin, hence, it suits all skin types. 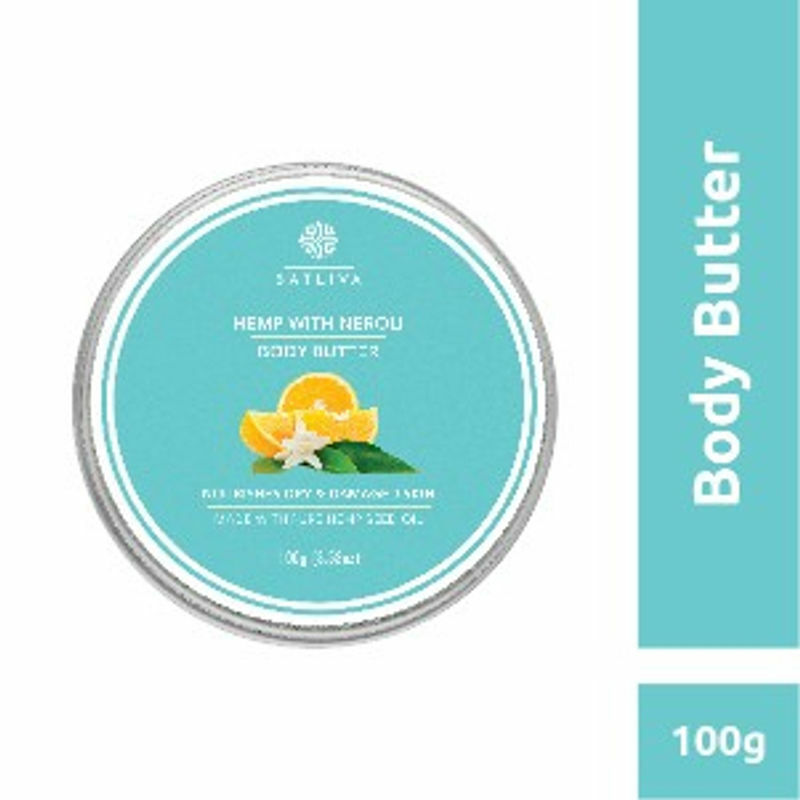 This deep hydrating body butter spreads smoothly on your skin and leaves behind the aroma that lasts. Brilliant combination of hemp seed oil, moringa oil and neroli essential oil, while deep moisturising the skin cells, helps in rejuvenating skin, making it soft, shiny and healthy. This body butter is made with freshly extracted hemp seed oil (for every Order) and cold pressed virgin oils to give your skin unmatched smoothness, uni-tone, and a flawless glow.